A decade of waiting for this game brought the legendary Final Fantasy franchise to the brink. 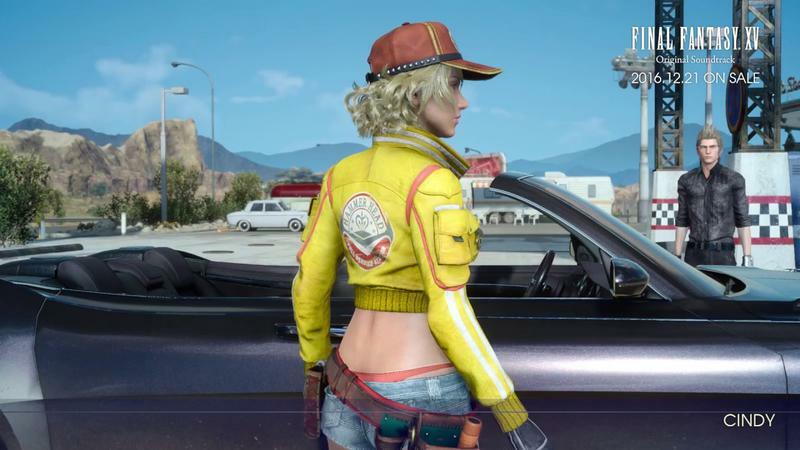 Director changes, delays, exciting trailers, and even a title re-branding roughly two-thirds of the way through development have made this the rockiest Final Fantasy game to hit shelves yet. And that's really saying something given the series' rocky transition into the modern video game world over the last decade and a half. 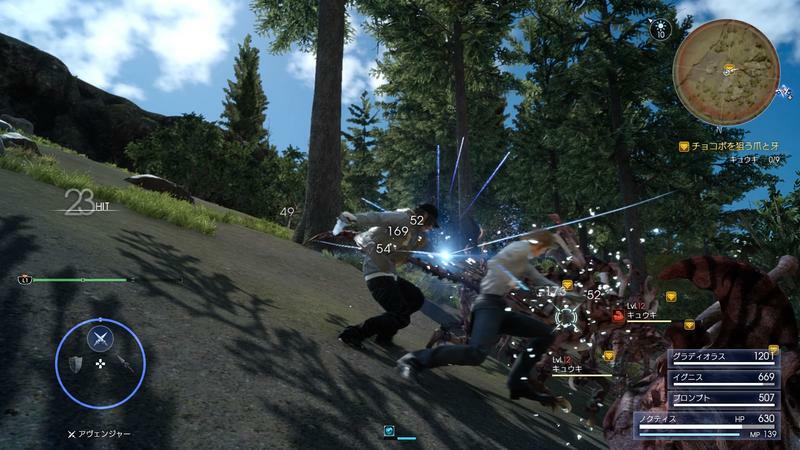 But now that it's here, and we've sunk enough time into Noctis' open-world RPG, does it do all that time justice? That's the big question many Final Fantasy fans, both young and old, are wondering. 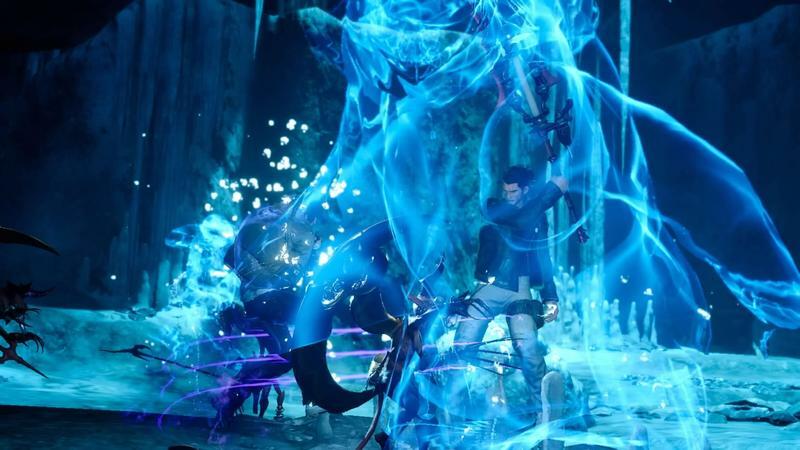 Is this entry in the thirty-year-old franchise good enough to reignite interest for another three decades, or has Final Fantasy really seen its final days? A Final Fantasy that's worth the wait. Let's get this out of the way: Ron's the expert here, and this is his review. I got The Last Guardian and Final Fantasy XV at roughly the same time, and The Last Guardian was my responsibility. So! Ron was in charge of Final Fantasy. Yet here we are. Why both of us if he has a more polished opinion? Ron, I think you said it best when you offered I'd serve to keep your "fanboy in check." So, here I am! I like the game, for what it's worth. Was the wait worth it, Ron? I'm not going to judge this game based on the fact that it took ten years to make. I'll treat it like any other video game that got a solid two to three years of hype because, in all honesty, I gave up on the game back when it was still Final Fantasy XIII Versus. 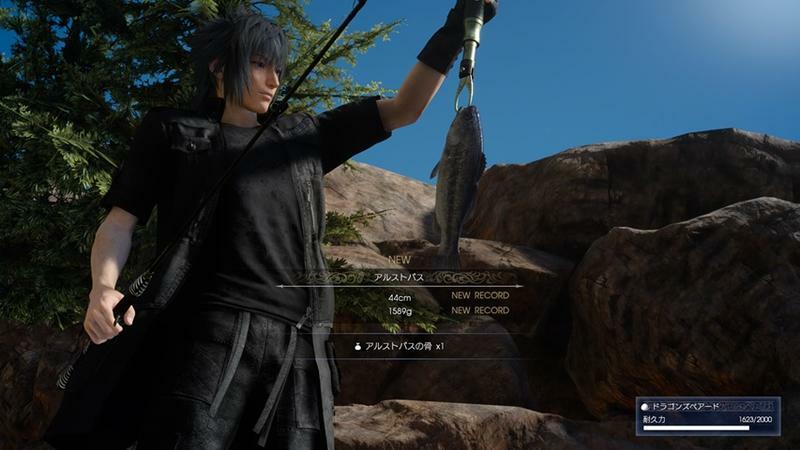 The fact that I am even playing Final Fantasy XV is something I should feel grateful for at this point, not wondering whether it meets some arbitrary expectation set by its development. But yes, now that it is here and I have sunk a large amount of time into it, the wait for this game was not only worth it, it was actually preferable. 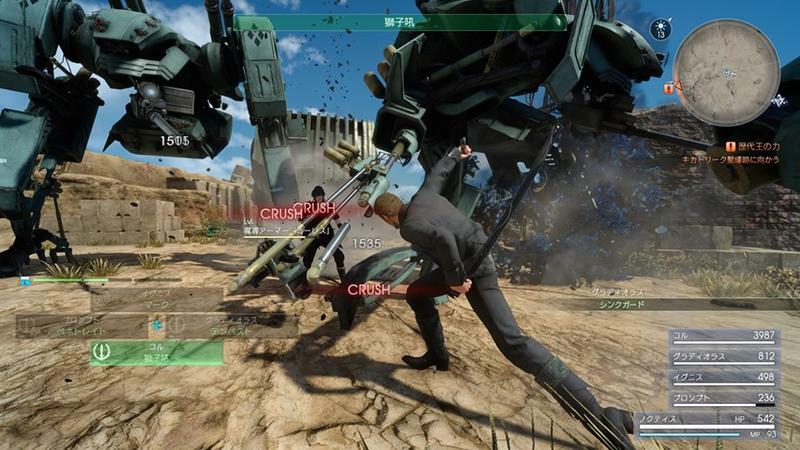 With the console shift and the superior technology of the PlayStation 4, Final Fantasy XV was allowed to become a much more complete game. Had this game come out on the PlayStation 3, I don't think I would have liked it as much as I do. But where to begin? How far are you into the story? That's the thing; I'm not far into the story at all. I really don't want you to spoil this adventure for me, either. I'm still out in the open, camping. I've heard that the quest narrows over the second half, but I am really enjoying the open nature this title has right now. I'm not a huge Final Fantasy fan. I enjoy the games, but I would never put myself next to you in terms of adoration for their mechanics. I dig JRPGs, though, and the Persona series will always be one of my favorites. With that in mind, the general westernization of Final Fantasy XV is what fascinates me most about this game. 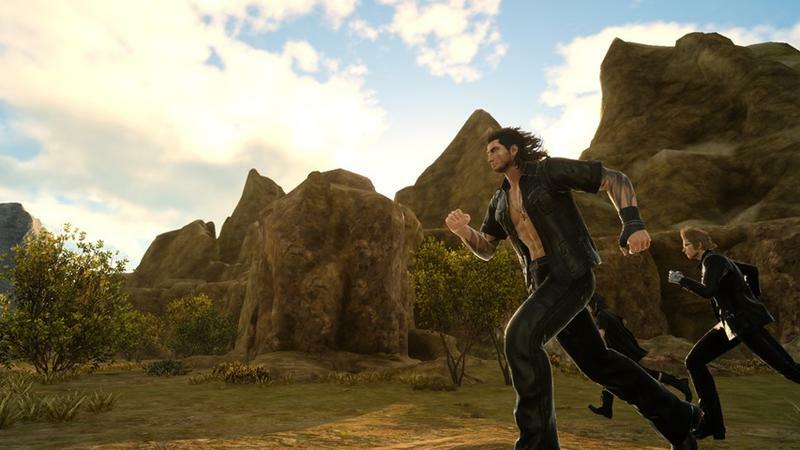 Final Fantasy XV feels very much like Square Enix looked at what makes great western open worlds exciting, pulled those bits and tossed them into a classic RPG formula. You get an open world that feels like a blend of Red Dead, Xenoblade Chronicles and old school RPGs, and it's really sort of wonderful. What surprises me most here? I'm shocked that the hybrid nature of the genres didn't turn this thing into an utter mess. It's somehow still fun! Oh, totally. This has been my biggest shock too so far. My concern heading into the game was how Square Enix was going to handle the story. 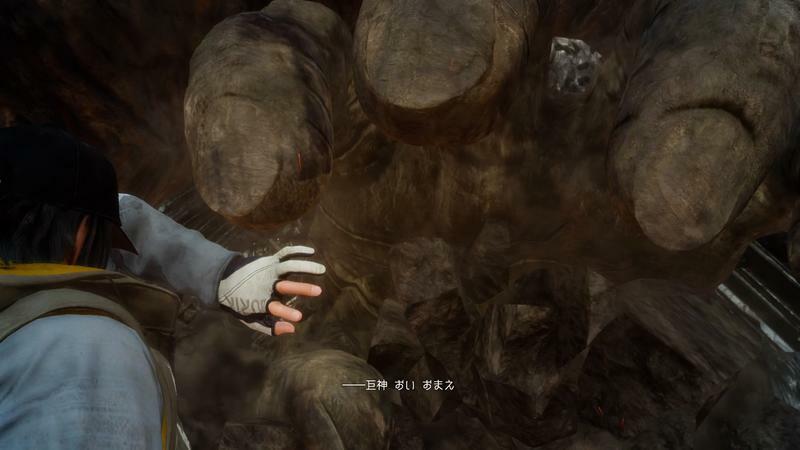 Open world games and the dramatic narratives of classic JRPGs do not blend together at all. Those kinds of games need pacing, character arcs, and a sense of flow that a game which inspires exploration at your own pace simply can't deliver. We've seen plenty of open world games try to deliver such an experience, but it hasn't always worked out. 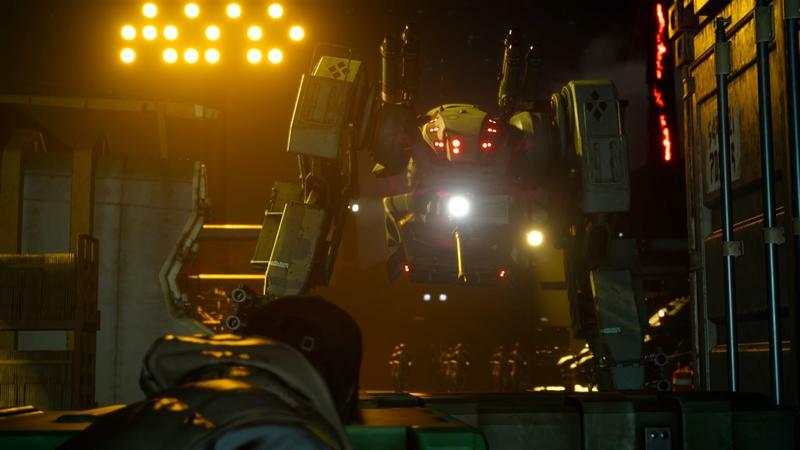 Other games, like Metal Gear Solid V: The Phantom Pain realize that a classic story line has to take a backseat to the player's actions and choices, and it has to be shallower because of it. 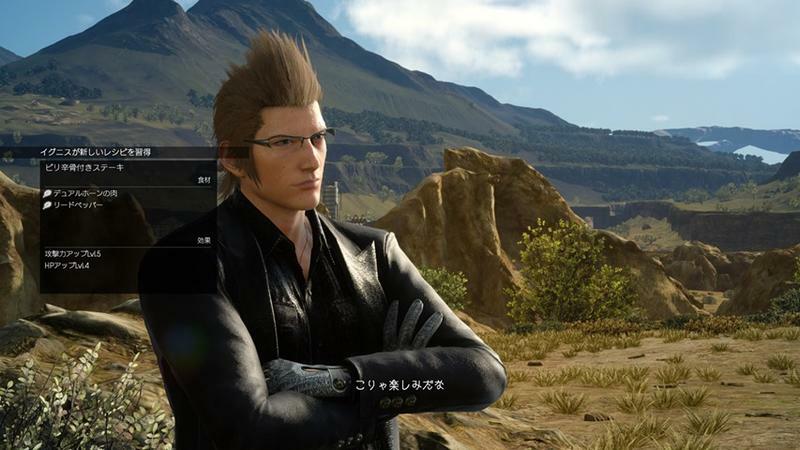 To my surprise, this style works for Final Fantasy XV as well! 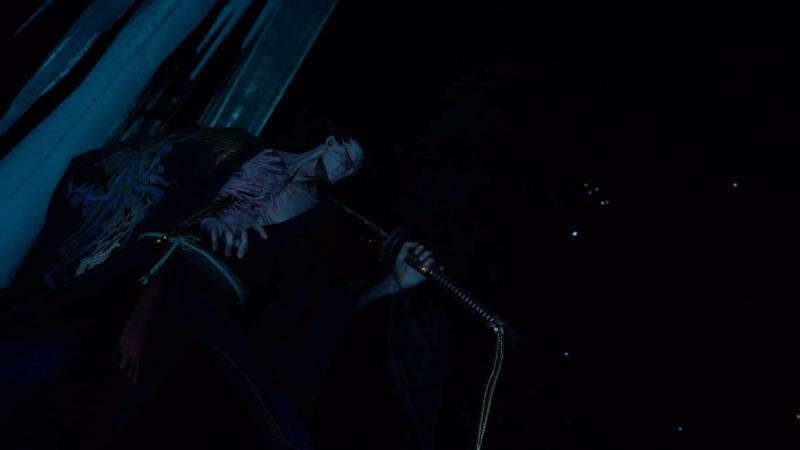 Compared to the insane dramas of Final Fantasy VII and the rest, this plot is paper thin. Not since maybe the very first Final Fantasy game on the NES has an entry in the series put this much more emphasis on exploration over plot. 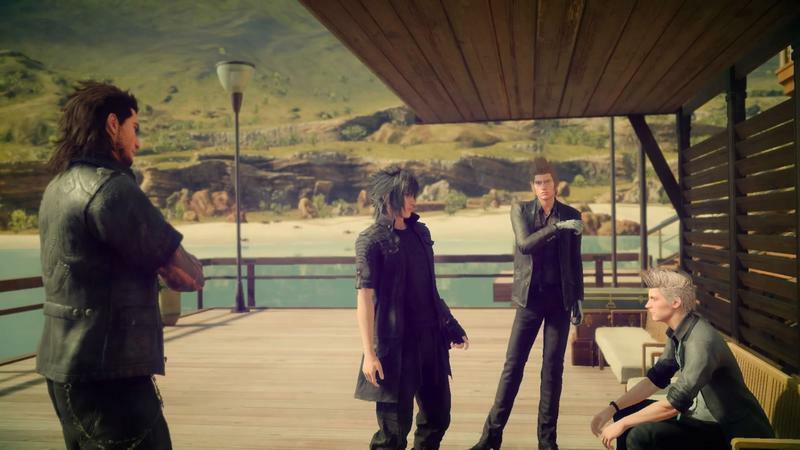 In Final Fantasy XV, the game finds its emotional core in the four main protagonists rather than a central story line to lean on. 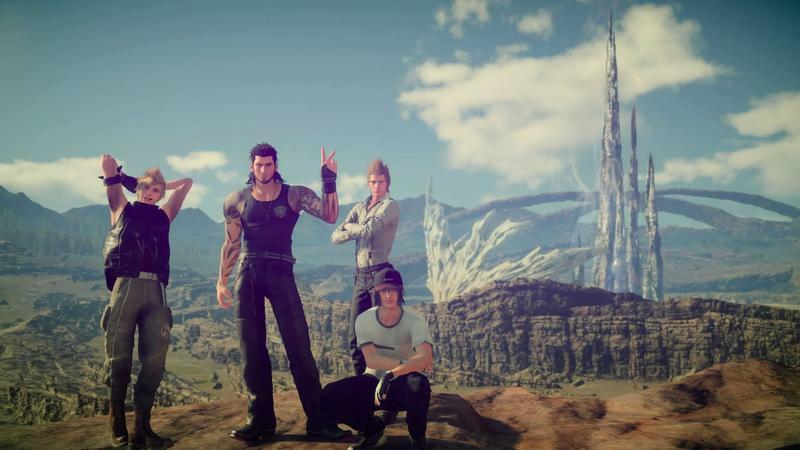 I think everyone has been caught off guard by how well Square Enix pulled off the four leads. Me personally, I haven't bought into a bromance this much since Frodo and Sam. The four dudes at the center of this game share quips, insults, opinions, and all that you might expect from a group of guys their age on the road, and it feels 100 percent natural. You sometimes even forget that the three supporting guys are actually servants and bodyguards because of how tight they are. Kudos to Square Enix for making them so believable. Right, I largely agree with that. 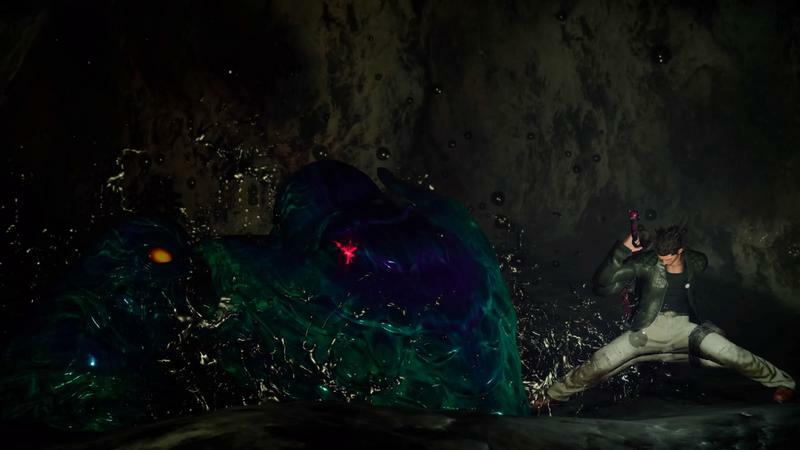 I think that Square Enix did falter a bit when it comes to tying the story to the actual moment-to-moment stuff in the early parts of the game. This huge moment comes, and it feels like the montage summary from a movie. And it was, at least I think. Right in the first few hours, our play is interrupted as a montage of action goes down in the game's capital city. That moment, so I've read, is actually a summary of some of the stuff that went down in the Kingsglaive flick. I'm sitting here, putting the actual in-game storyline together by leaning on clips from a movie. Why? 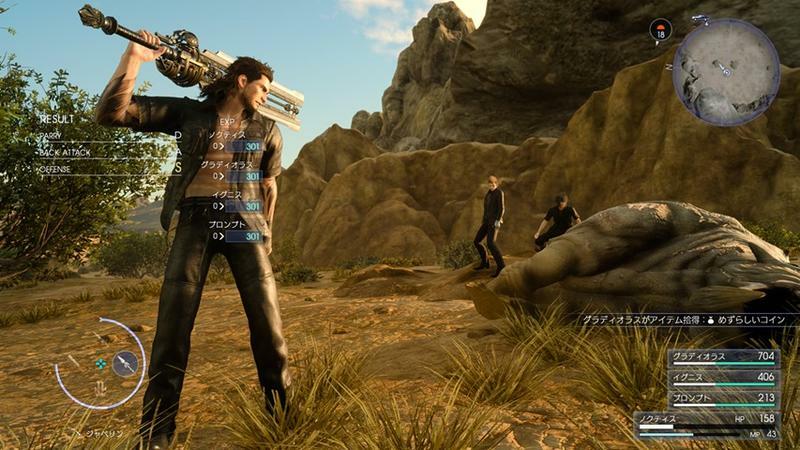 Why would Square Enix do that for a numbered, marquee game? Don't take other work and fling it at me to complete a story. 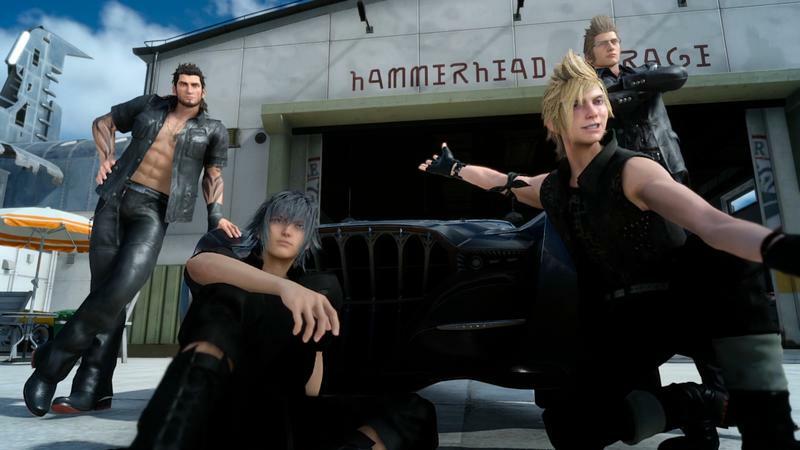 That problem aside, I felt like Square Enix knew when to take the harsh plot and move it aside in favor of some road trip bonding. And that bonding works super well. The game feels like a buddy film at times, and I especially loved making camp or finding an inn each night. 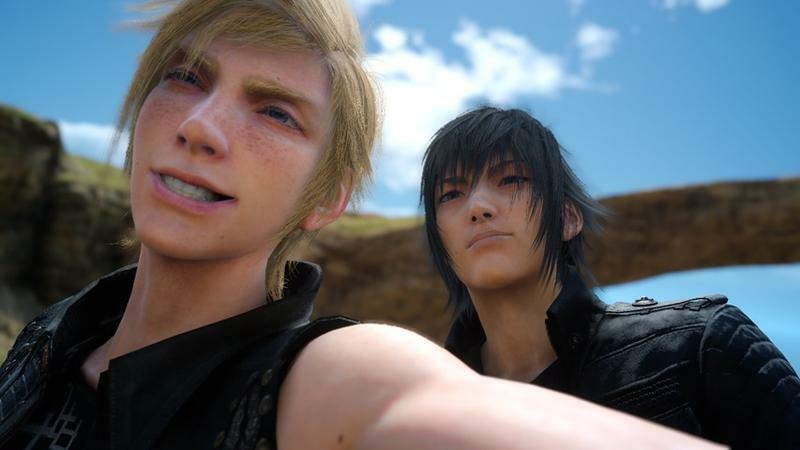 Our heroes sit around a campfire, for instance, chatting it up or taking action shots with Prompto's camera as experience turns into levels and AP. That's one thing I also really dug mechanically, and maybe that can open the door for more mechanical parts of the game. 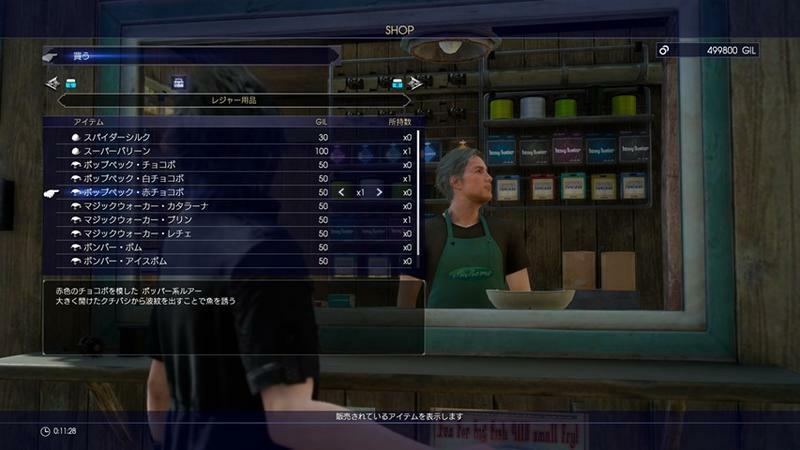 I loved Final Fantasy XV's take on banked experience. You level when you spend the night somewhere. Camping is free and yields 1x experience while staying at a posh hotel will cost you some serious Gil while earning you maybe 2-3x experience. That's huge! It's very Oblivion is what it is, showing that Square Enix knew where to take proper inspiration from. I often found myself wondering whether I wanted the experience point bonus or wanted the stat boost that camping provides, and it was enough to rack my brain every time I finished a quest! Luckily, driving at night becomes easier later in the game. 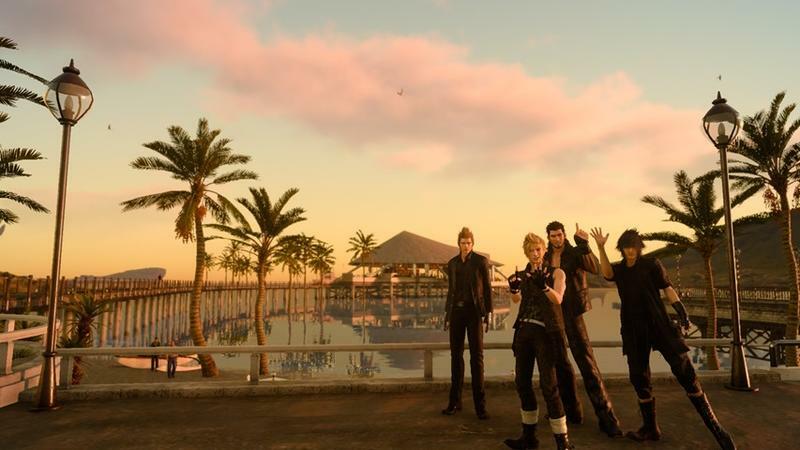 I'm glad that the story plays out naturally, and somehow, Square Enix's open world comes together so beautifully. The lush greens, the beautiful mountains, the shorelines, and the swamps in the north. There isn't a misplaced bit of nature anywhere in this game, and it's easily one of the most beautiful worlds ever created for a video game. For what it lacks in size, it makes up for in detail. Plus, I prefer my open worlds to be a bit smaller anyway, so this fits perfectly. 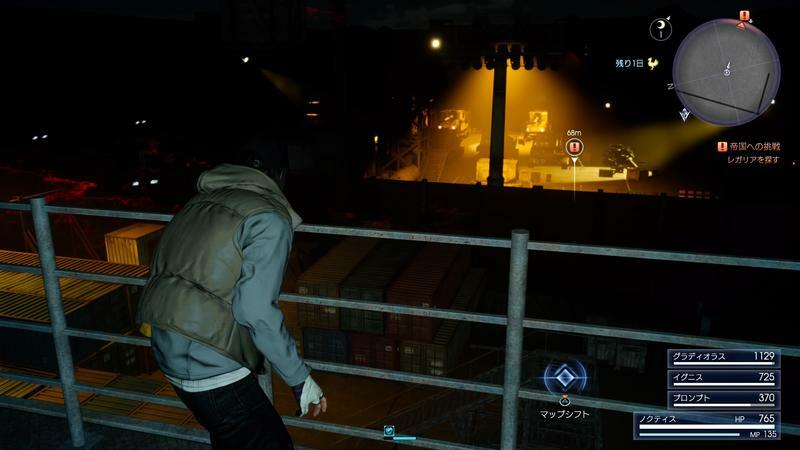 Another highlight in the game is how easy it is to get around. The car provides a fast way to get from place to place, and you can chill just like the passengers and watch the scenery go by as Ignis drives. 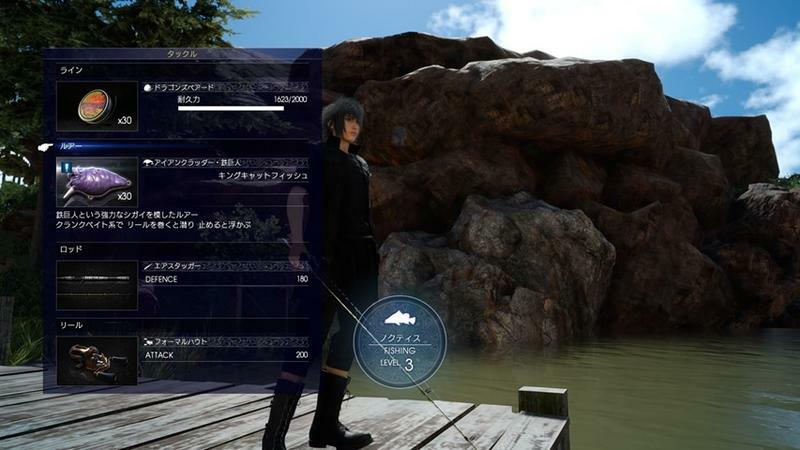 Noctis can also take the wheel at times, letting the player feel like they are driving through the country too. Chocobos are also back, and riding on the backs of Final Fantasy's iconic birds has never felt so good. Like controlling Noctis himself, Chocobos have a feeling of weight to them that doesn't feel artificial in the world at all. 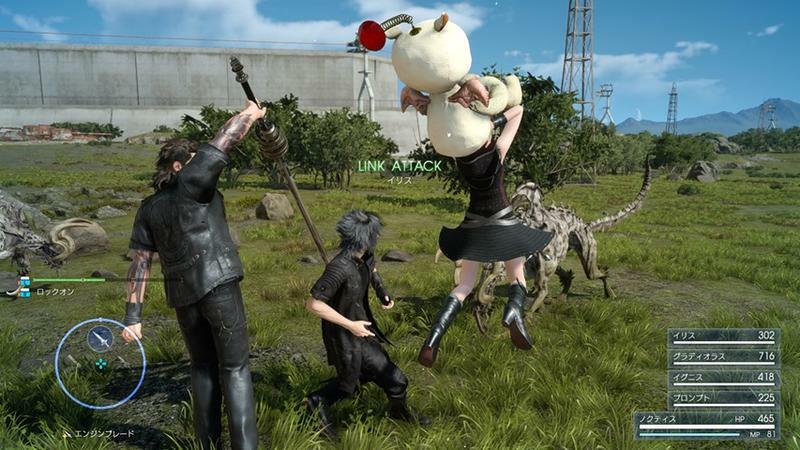 You can drift a Chocobo in this game, which is totally sweet. One last point I'd like to make about travel is how it limits the use of fast travel to only gas stations. 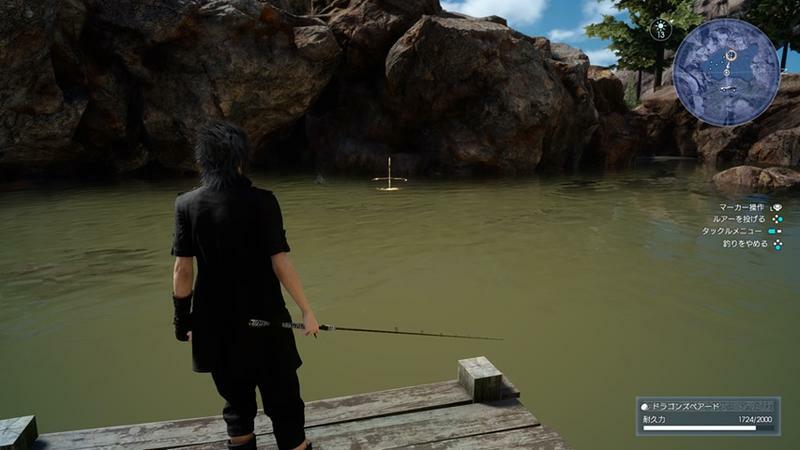 I've always felt that abusing a fast travel option in an open world video game cheapens its map, and Final Fantasy XV is not at all shy about forcing its players to experience the world to some extent. It's fine because it all plays into the road trip experience, but it gives travel a bit more weight to it. I'll let you get started on combat. I know some old-timey fans were upset with the new system, preferring the classic line fighting, but how do you feel about it? I will note that I agree with you about the fast travel system, for what that's worth before we roll on. I rarely fast travel in games, personally, as I like taking the world in and being distracted. That might be why open world games take me so long to complete, though. I always see stuff, stop and take a look. The combat? I actually really like it. I've read elsewhere that the system winds up feeling a touch thin towards the end of the game, but it's been endlessly entertaining for me so far. It's real-time action, though I have the feature on that temporarily pauses the battle and lets you be a bit more tactical at times. I dig that, but it's not a necessity. You can just fly in and absolutely rip through enemies. Fight something that outclasses you, and the RPG formula rears up and smites you where you stand. I dig that, too. I really enjoyed the way the game deals with weapon vulnerabilities. Watching gold numbers spew out of the backside of an enemy as I pick the right weapon for the job is instantly rewarding in a way that feels almost like Borderlands, and combining that with combo attacks with one of your buddies and you get a battle system that feels dynamic and tactical. I also appreciated the subtleties Square Enix threw into combat that matches the four heroes. 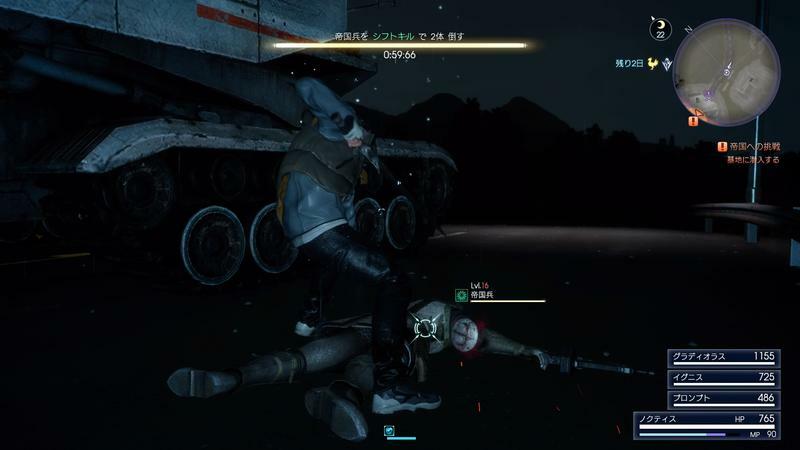 For instance, and I don't know if you noticed this, but bumbling Prompto actually trips and falls at times in fights. Noctis, Gladiolus and Ignis are all ripping it up in glorious fashion, and Prompto straight up slips and falls. It kills me, and it feels like such a nice personality touch that comes from developers who love their own material. I love Prompto. He has his haters, but I see him as the Michelangelo of the group. I can see where complaints of the combat being shallow come from. At 30 hours into the game, the combat still gives me a huge rush, but I won't pretend it doesn't have its flaws. 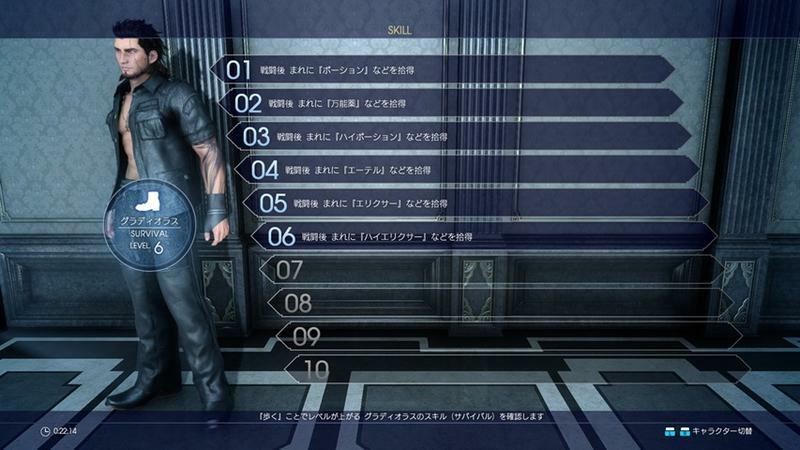 For example, once Noctis starts to unlock more of his Royal Arms, those orange numbers don't really matter so much anymore since they are absurdly powerful and kill anything regardless of enemy's weaknesses. 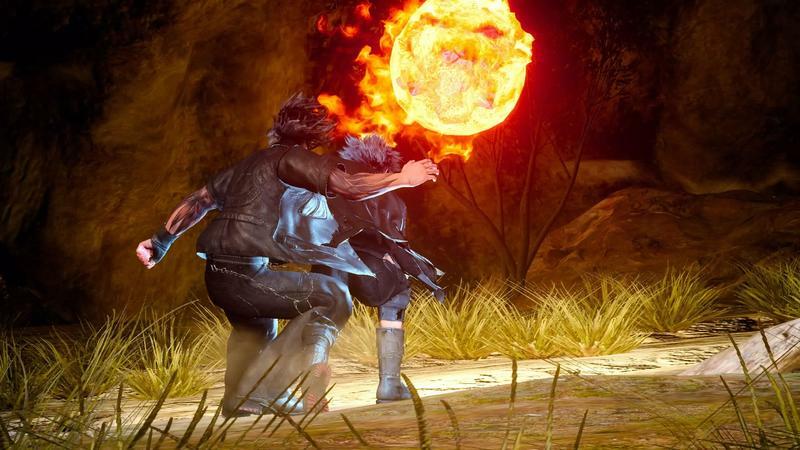 To negate their power, though, they actually drain Noctis' life with each hit, making it easier for him to fall in battle. 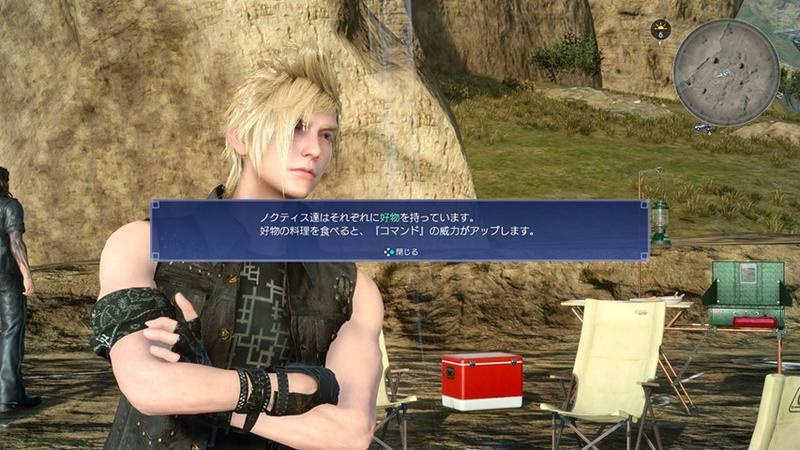 However, when tied to Ignis' Regroup ability, which refills the entire team's health in exchange for two meters of the tech bar, worrying about the weapons draining Noctis too quickly doesn't pop up too much. 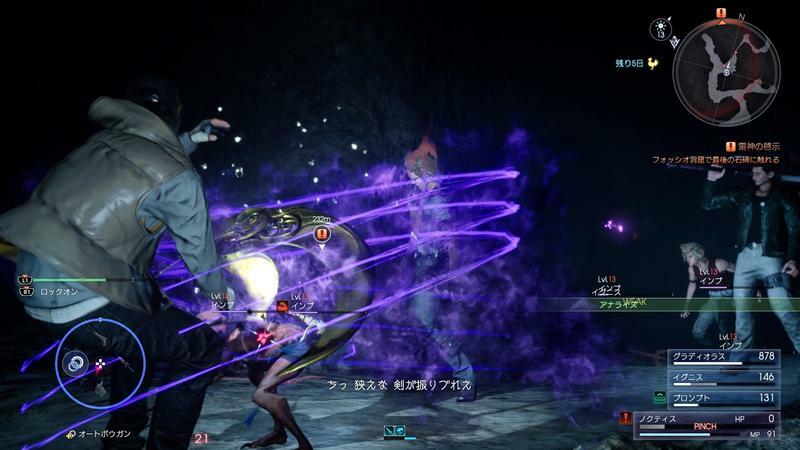 Boss fights, too, don't differ all that much from the average battles, which can usually be a problem in some Final Fantasy games. I think the problem is I'm just lazy and lean on slashing blindly without thinking about my tactics, but that's only because it works. Maybe the normal setting is too easy? If you rely on not thinking too much, then sure, it can be shallow. 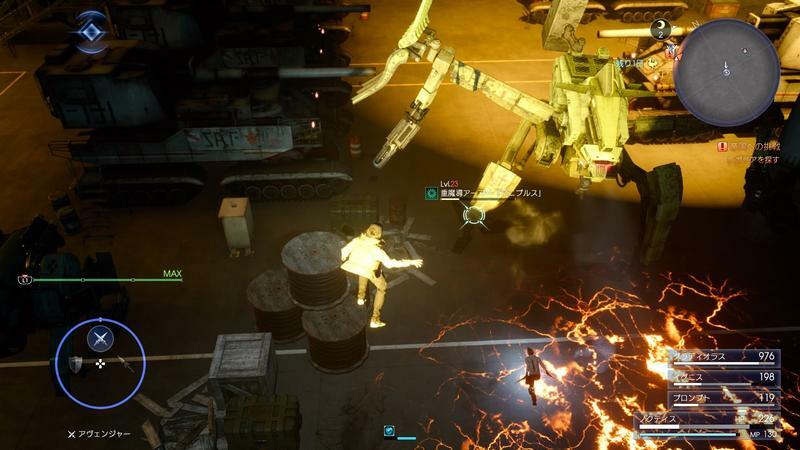 The depth is there for a really tactical action RPG, you just need to find it on your own. I haven't used the Wait Mode yet, so maybe it's time I give that a try. I'm just in love with how the combat feels, and how all the timing works. Sometimes, I'll try to win tough fights just from blocks and parries alone, and I feel like an unstoppable monster. 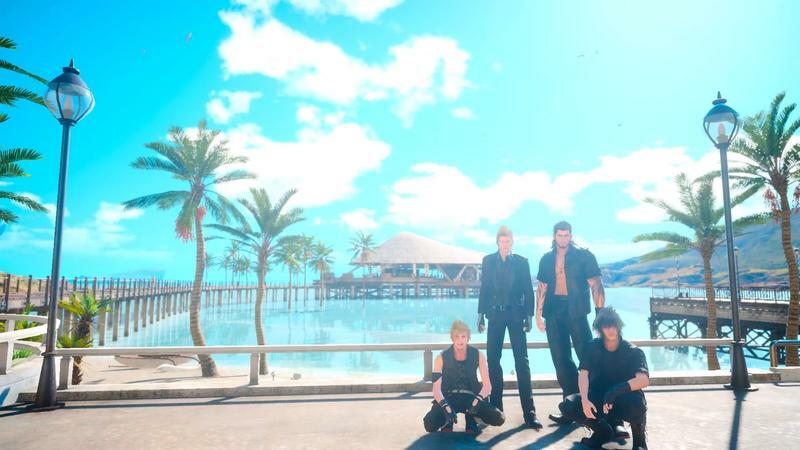 I think, so far, the biggest compliment I have for Final Fantasy XV is that it's a game I really like taking my time with. 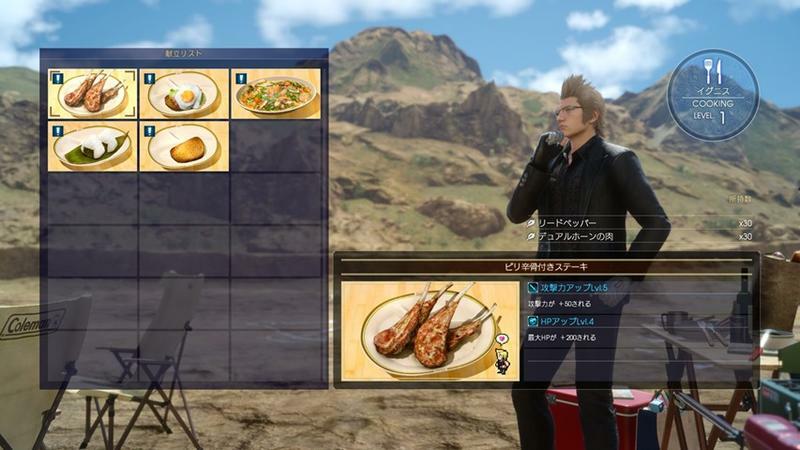 I'm doing all of the available side quests, though those have hit a bit of a monotony problem already, and I'm seeking out ingredients and treasures whenever they come up. I'm actually having fun with an open world, action RPG that's letting me relax. I'm chilling out these four crazy idiots as we battle huge monsters, take on imperial soldiers and slog our way through dark dungeons. I'm doing it without any sense of urgency, though that might be a negative for the story, and I'm just flat out enjoying the experience. The last JRPG that had me so soaked up in its world was Persona 4, and I feel largely the same way here. You know what? 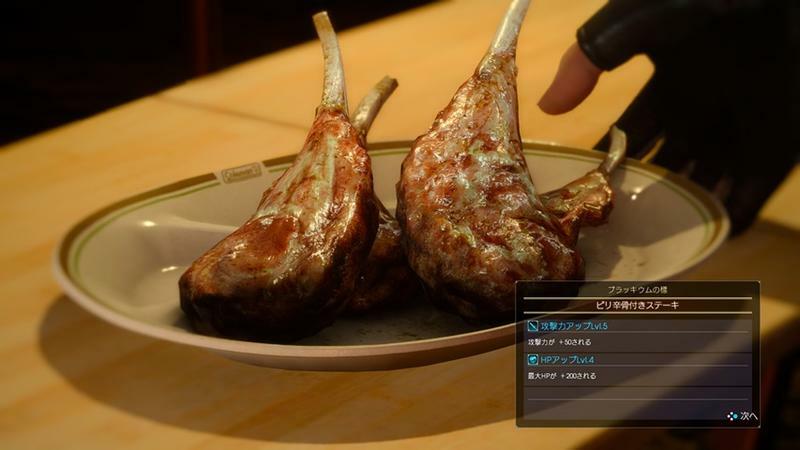 I actually feel like I'm enjoying Final Fantasy XV in the same way I enjoy Yakuza games. I take on the story routinely, but my main focus is almost always goofing off and exploring. This game meets both needs really well, and I think that's why I like it so much. Enjoy this one at your own pace. Same here. I am approaching Final Fantasy XV with my own pace in mind, and that only came under fire because I needed to make progress for this review. And now, I'm free from those restraints! Wahoo! It's rare for me to get lost in any video game anymore, let alone massive open world RPGs. With all the responsibilities of being an adult, working, traveling, hanging out with friends and family, I get worried about dedicating time to video games like this. However, I'm just realizing that no matter those pressures might limit my favorite hobby, I'll always make time for Final Fantasy. To enthusiastically throw my fists in the air and declare that "Final Fantasy is back" actually throws Final Fantasy XIV and all that it has achieved over the years under the bus. That's a really good Final Fantasy too, and I wouldn't dare insult it like that. Check that one out. But for a classic, single-player experience, one that traditional fans and newcomers can enjoy at their own pace, this is easily the best entry in the series from the last fifteen years. I'm sure the timing is coincidental. It's my favorite Final Fantasy since Final Fantasy X, and it is easily my favorite video game in general since Mass Effect 2. That's not praise I throw around lightly. I haven't even gotten to the emotional stuff yet! 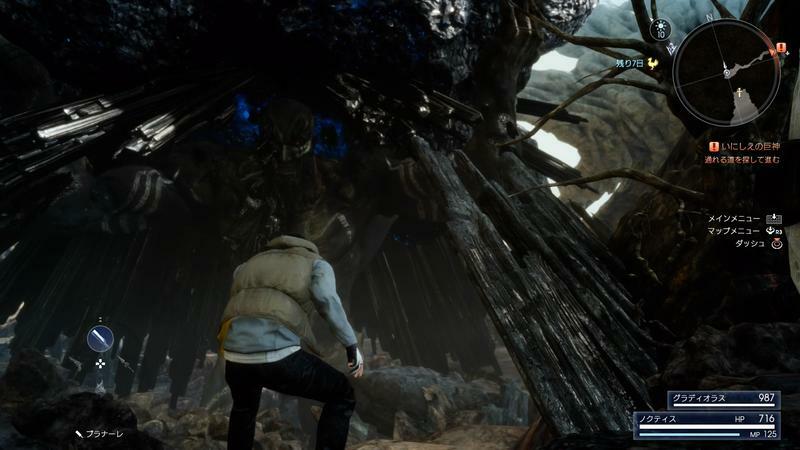 Square Enix had the gargantuan task of reinvigorating the series with a game 10 years in the making. Traditional Final Fantasy fans, fans of video games from when it started development, and fans of video games now: everyone will find something to like here, one of the best video games of 2016. Disclaimer: Joey was provided a review copy of Final Fantasy XV, and Ron purchased his own with personal funds. Ron played 30 hours of the single player campaign before writing this review.